We invite you to explore India - the Land with infinite beauty ! Whether you soar high into Himalayas or peer under the ruins of the Ancient monuments dotting the landscape of India, you will cherish the experience long after your visit ! This India Travel Guide on Shantiniketan is free from any commercial interest! This site is dedicated to promote India - the vast subcontinent, its glorious past, magnificent landscape and its infinite variety. A small town near Bolpur in Birhaum district of West Bengal, Shantiniketan is made famous because of its association with Rabindranath Tagore, the poet Laureate. It was here that Tagore wrote most of his literary classics. And his house here is of historical importance. And perhaps more important is the fact that Tagore's vision became what is now a university town 'Visva Bharati University' that attracts thousands of visitors every year. Since Shantiniketan was gifted by the Sinha family to the Tagore family, it was originally called Bhubandanga, after Bhuban Sinha. Since Rabindranath Tagore's father found this place full of peace and harmony, he renamed it as Shantiniketan, the abode of peace. Shantiniketan is considered for UNESCO Heritage Sites in India. Tagore started his school Partha Bhavana here, a school of his ideals with learning in a natural environment. This school expanded into a university in 1921. By the year 1951, this became one of India's central universities. Several world renowned teachers have been associated with Shantiniketan and this includes doyens like CF Andrews, Alex Aronson. Illustrious students of this university include Gayatri Devi, Indira Gandhi, Satyajit Ray, Abdul Ghani Khan and Amartya Sen. The art college of Shantiniketan is 'Kala Bhavana' which is still considered a world renowned college of arts. The Vidya Bhavana is the Institute of Humanities, Shiksha Bhavana, the Institute of Science and Sangit Bhavana, the Institute of Dance, Drama and Music. While Vinaya Bhavana is the Institute of Education, Rabindra Bhavana is the Institute of Tagore Studies and Research. There are several other institutes that include the Nippon Bhavana, Silpa Sadana and Palli-Charcha Kendra. Several centres including those for Social studies, rural development, Biotechnology, Mathematics education, Environmental studies, a school for primary and secondary education, higher secondary education are housed in Shantiniketan. Weather is usually pleasant although one can come across the normal weather changes during summer, winter and monsoon. 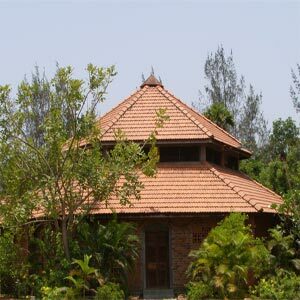 Shantiniketan can be visited at any time of the year. The natural beauty, lush greenery surrounding this place lends an unusual charm during the spring season. Vasantha utsav that marks the onset of Holi during spring is celebrated with gaiety here. Shantiniketan celebrates several social and cultural events throughout the year and they include the Basanta Utsav, Barsha Mangal, Sharodutsav, Nandan Mela,Poush Mela, Magh Mela, Rabindra Jayanti to name a few. Poush Mela attracts tourists from all over India - a three day Bengali mela, starting on the seventh day of the Bengali month Poush. There are a number of cultural programs such as song and dance performances and group choreography. Students wear garlands of polash and hold little sticks in their hands singing Ure griho bashi tora khol dar khol laglo je dol. Another seasonal festival celebrated here is Pahela Boishak. Since the days of Tagore, Shantiniketan has transformed considerably. Also the Visva Bharati University plays an active role. Upasana Griha is a prayer hall made of several Belgium colored glasses. It has steps of marble on all the four sides. During evenings, candles are lit throughout the prayer hall and it is resplendent in light. Dehali is a two storeyed building where Tagore used to live with his wife Mrinalini Devi. In pathak bhaban, the classes are held under the sky. You can meditate in peace at the asram kendrik. The China Bhavana is a centre for Chinese studies. This houses the Natir Puja, a dance drama of Tagore painted on its wall. The Black house is a mud building known for its relief work. Shantiniketan Griha is the oldest of buildings. Kala Bhavan or the college of arts has a museum exhibiting frescoes, sculptures and murals. A library of art books is also found here. Tagore seemed to have lived and worked in the northern complex 'Uttaravan complex' which has several other buildings, designed by Tagore's son. Bichitra is Rabindra Bhavan and several personal belongings of Tagore including his paintings, editions of work are exhibited here. Sangeet Bhavan, as the name indicates, is the college of dance and music. Among the various gardens and parks found in Shantiniketan, is the deer park which is 3km away. This large wooden area with herds of deer makes it a perfect natural bird sanctuary. Shopping at Shantiniketan could be at Grammen or Sarvodaya Ashram, Visva Bharati Shilpa Sadan and Shantiniketan cooperative stores. Since the food in Shantiniketan is Bengali, one must try the fish curry. The nearest airport is Calcutta at 213 km. The nearest rail is at Bolpur, 2 km away. There are good motorable roads that connect Shantiniketan with Calcutta. Tourists can use cars and buses for local transportation. Tagore's Shantiniketan is where the cultures of the East and the West meet and mingle. The University stands as a monument of India's tradition and best of her culture.